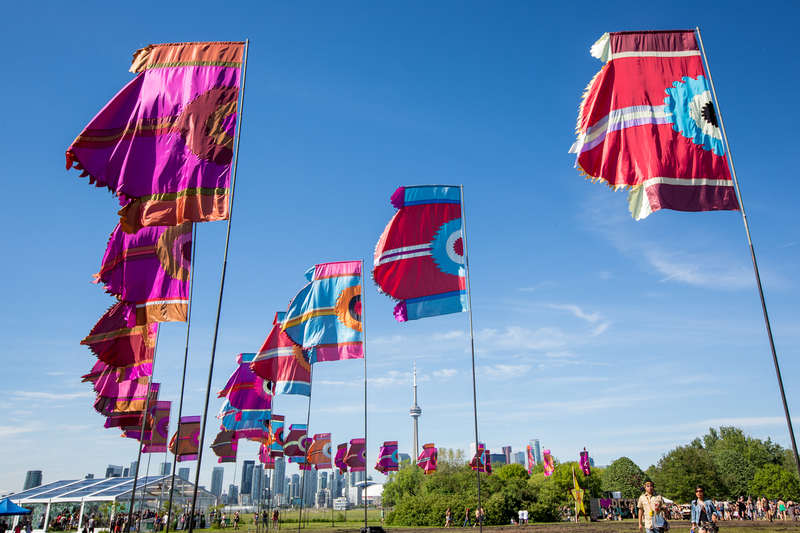 Bestival’s debut in Toronto was a feast for the ears, the eyes, and most importantly, the soul. 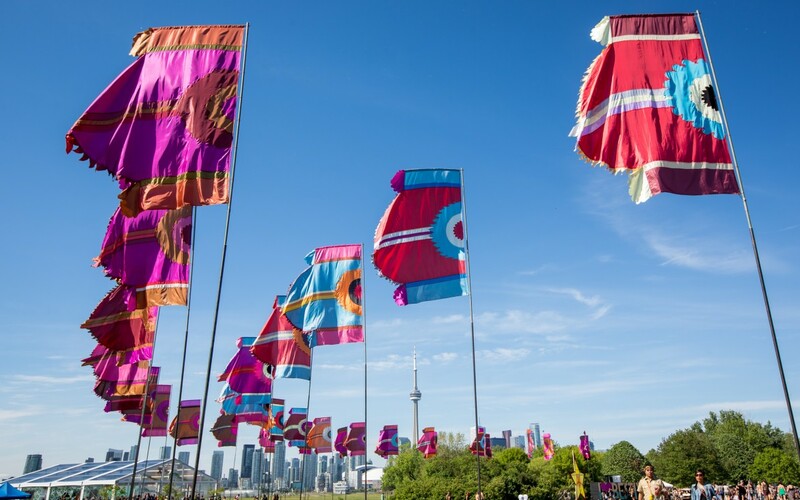 Located on Toronto Island at Hanlan’s Point, this UK imported festival made a big splash with its psychedelic, free-love atmosphere. Of course, it’s always about the music. 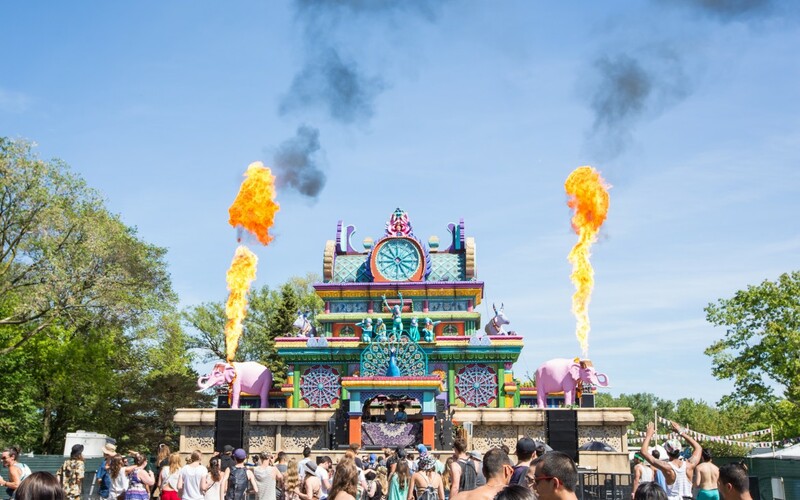 Artists like Florence + the Machine, Nas, Banks, Flume, and Robin Schulz were the selling point, but once you entered the grounds it really was like walking into your wildest hippy dreams. Bestival’s ambitious five stage map meant that there was the perfect vibe for whatever mood you were in. The “Main Stage” was big, easy to find, and featured all the big headliners. The tiki-inspired “Sunday Best Balearic Beach Club” located on the sandy Hanlan’s Beach was everything you could have wanted in a fun-in-the-sun party. 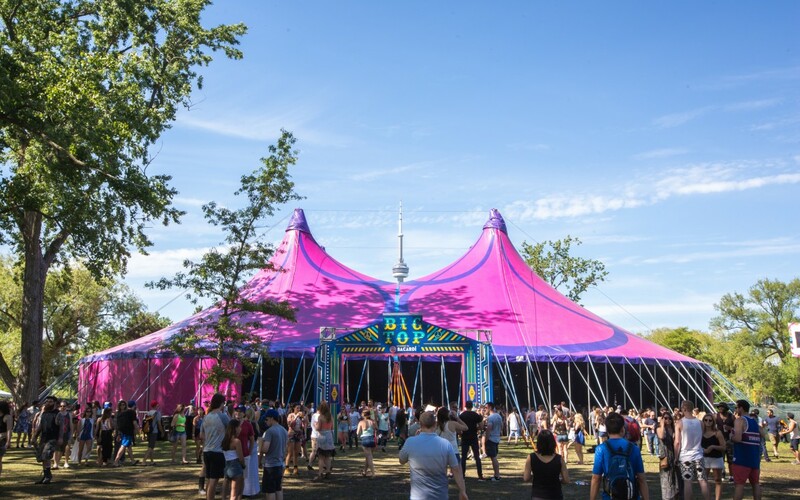 You would head over to “Big Top presented by Bacardi” which was a huge purple circus tent if you just wanted to lose yourself to dance with crowds of sweaty people. Most impressively, there was the very intricate and colourful “Bollywood” stage. 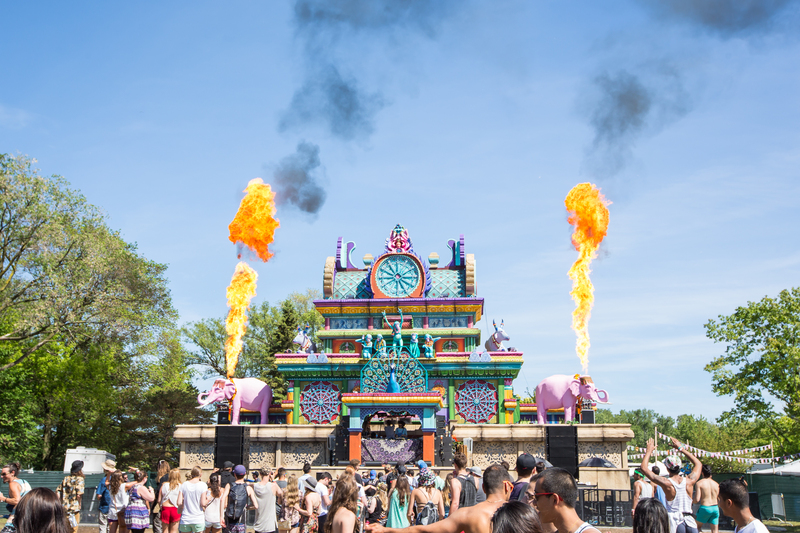 It was like a piece of surrealist art, complete with pink elephants and monkeys, wild light displays, and of course, flames that shot out when the bass dropped. The more intimate Perrier Greenhouse was a haven for guests hoping to escape the rain (on Friday) or sun (on Saturday) featuring tons of up and coming DJs. 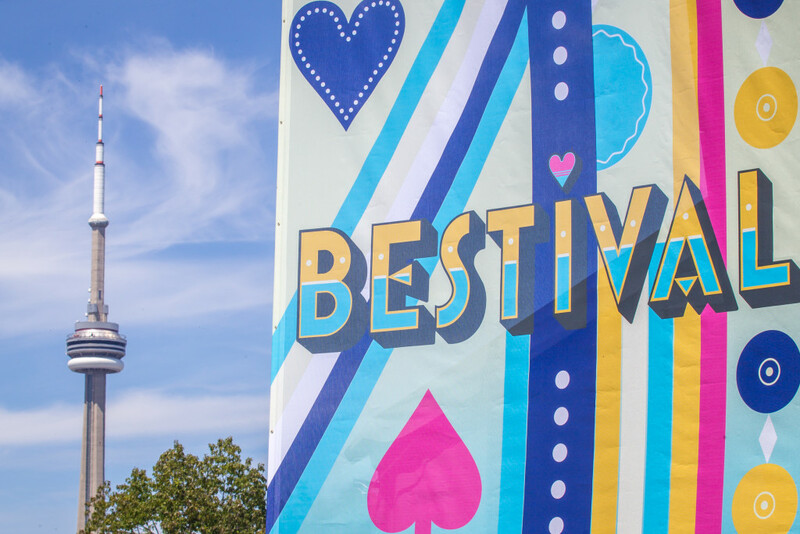 Outside of the music, the focus of Bestival was to create an authentic creative festival vibe where you are encouraged to be yourself, whatever that might look like. It was hard to tell the difference between hired talent who were there to pump up the crowd or just attendees who had decided to dress to the nines. There were endless things to do and see which meant there was no hint of a dull moment over the two days. This included a Bestival Carnival Parade, Wellness Area with massages, Costume Shops, The Bestival Inflated Church where you can dance down the aisle, face painting at Fido’s Grove of Curiosity, and even a Knitting Tent. There were definitely a few issues with getting thousands of people transported to and from Toronto Islands with epic wait times that almost made you forget about how much fun you just had. Despite this, Bestival really brought it to the next level by merging a great and diverse lineup with the world’s most Instagrammable staging and decor. If you missed out this year, you definitely won’t want to skip this event next year, so start planning what your DIY costume will look like!